No one was injured in the March 8 incident that shut down Burnside and surrounding streets. 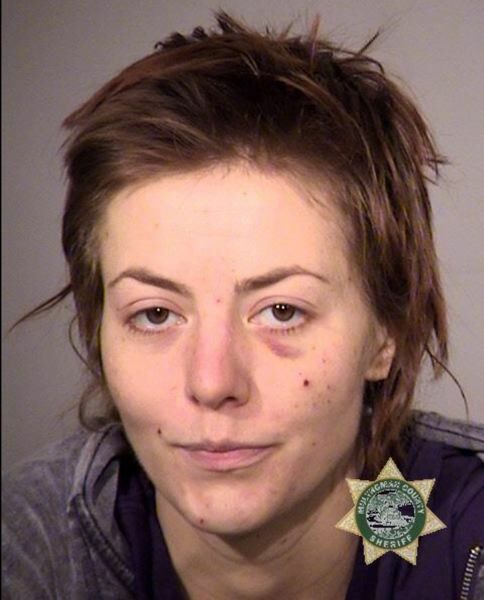 Police have identifed the woman involved in the police-involved shooting in Northwest Portland on March 8 as 26-year-old Sarah Michelle Brown. She is lodge in the Multnomah County Jail on charges of attempt aggravated murder, two counts of burglary in the first degree, unlawful entry into a motor vehicle and unlawful use of a weapon. The officers involved in the shooting will remain on paid administrative leave until the conclusion of the investigation. They were not immediately identified. No officers were injured in the incident, which turned into a lengthy standoff before Brown arrested around 6:50 a.m. After Brown was arrested, she was assessed on the scene by emergency medical personnel and transported to the hospital by ambulance for what is believed to be a non-life-threatening injury. "I am grateful no officers were injured during this morning's dangerous encounter," said Chief Outlaw. "Officers responded and worked together to ensure the safety of the community. As with all incidents of this nature there will be a robust and thorough investigation and review." Much of the area was blocked off by police after the first report of a shooting around 3:30 a.m. The suspect then barricaded herself under a porch in the 800 block of Southwest King Avenue. Officers on scene negotiated with the suspect, who refused to come out. West Burnside between Northwest 21st and 23rd was shut down during the standoff. Officials urge people to avoid the area. Some houses on King were evacuated. KOIN 6 News is a news partner of the Portland Tribune.